As we move on with more Christmas episodes of our favourite series, you will probably notice a distinct lack of any Christmas at all in today’s article. This is one of those moments when a series has time allotted on the schedule during the Christmas season for a “special” episode but this time it has nothing to do with Christmas. I suspect this would not happen now-a-days. Look at all the Doctor Who Christmas specials since 2005. Every one of them has a connection with Christmas in some way. I can see how this can work in either direction but I suppose the thought now is if there is time for a program to be shown at Christmas, it had better damn well have Christmas material in it! Perhaps back in 1995 things were different. There was a time in my life that I looked forward to Mondays. Let’s be honest, very few people look forward to Mondays and so I will be more precise, I looked forward to Monday evenings. In the early 1990s I was in high school and we had cable television. There was this cable station known as A&E. Back then it stood for Arts & Entertainment. I have no idea what it stands for these days; I don’t really care. To me, there was something really special about A&E and what was really unfortunate about it was that generally I took it for granted. I’ve written about it before, stations “evolving”. Back in the day, when a station ran a certain type of program, no one ever thought it would change. Why would it? Monday nights were great. As odd as it sounds, I would finish my homework in time to watch Murphy Brown, I used to love that show. Most of the time, during working on homework, I would watch Biography on A&E. They were really well done. By 9pm, everything was set to watch one of my favourite series, Lovejoy. Lovejoy, to me, encapsulated what I thought British television should be: it was set out somewhere rural, was kind of high class (for me at the time) because it dealt in the (sometime seedy) world of art and had a set of characters that were funny but the situations weren’t always funny. Sometimes they could even be deadly serious. Recently, I wrote a review about Series 3 of Lovejoy in which one of the blurbs from PR stuff I get with the discs called Lovejoy the “James Bond of the art world”. That sentence turned me off right away. The reason I had so much problem with it is that firstly, Lovejoy is nothing like James Bond and I still fail to see why the comparison was made. Secondly, I don’t think anyone can just label Lovejoy so easily. It is a wonderfully unique series that should never be summed up by calling it James Bond. So what is it? 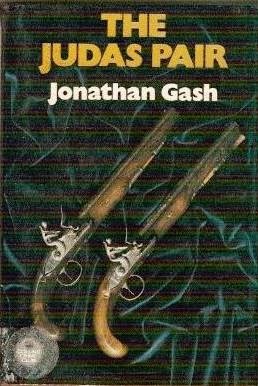 Lovejoy was a series of novels written by Jonathan Gash (pen name) starting in 1977. Lovejoy (which is his last name) is not only an antiques dealer but at times a forgerer. What was most amazing about Lovejoy was the fact that he was a divvy. A divvy is someone who can sense when an antique is real and more importantly when it is worth something. It’s just an unreal feeling they get. This underground world of antique dealings is portrayed in a much more sinister light than what we see in the TV series. In fact so is Lovejoy. We never know Lovejoy’s first name. He just prefers to go by Lovejoy and it fits. Lovejoy is actually a very loveable rogue. By the time we meet him in the series, he has mostly gotten out of the shady dealings. He would still dip back into it once and a while but he had mainly cleaned up his act and was surrounded by a good group of friends. I loved watching this series because it was basically a drama with a lot of light humour brought into it. The locations were beautiful and the writing was sharp. Every week, we would be introduced to some antique treasure which had some amazing significance that we would learn about. Of course, these treasures (and their back stories) weren’t real but they certainly fooled me. I had a ritual every Monday night and that included by the time Lovejoy would start, I would make myself a plate of chips and cheese, also known as nachos, and I would just enjoy the latest installment of the series. It was always so much fun because I would watch Lovejoy on TV from 9-10pm and the watch whatever British comedy series was running on my local PBS station KTCA from 10-11. Probably either Are You Being Served? or Keeping Up Appearances. This was a really fun and enjoyable time of my life. By the time I got to 1993 things changed quite a bit for me. I graduated from high school and was about to start my first go round in college. I also ended up picking up a few jobs and most Monday nights I would be working. The feasting on Lovejoy would have to wait as I was too busy to keep up with it. When I did watch it, I noticed one of my least favourite things about a TV series that had gone on too long, cast changes. I will get to that in a bit. From what I had seen, it was becoming a show that I was losing interest in. Therefore, I had stopped watching from around Series 5. To this day, there are a few episodes I had not yet seen. In fact, this was the first time I had seen the episode we are looking at today. This non-Yuletide episode of Lovejoy starts with an estate sale. Lord Wakering needs to sell his Manor Home as well as many of its belongings. This is where Lovejoy comes in. He is helping Charlotte Cavendish with the sale. This is where my interaction with this series dwindled over time. I seemed to have fallen out of love with the series perhaps around the right time. At the end of Universal Films in the 1930s, the screen would say “A good cast is worth repeating.” My take is that I think a good cast is impossible to replace. By the time we get into Series 5, we soon lose two great characters that I thought really made Lovejoy special. We lose Lady Jane who has been a close friend to Lovejoy and sometimes closer than just frends. She really was his rock. She helped him emotionally and financially. Then, there was Eric Catchpole played by Chris Jury. We meet Eric in the first episode, The Firefly Cage, as his father kind of pawns him off on Lovejoy to try and teach Eric in the ways of antiques dealings. Eric was a loveable buffoon. He was able to play off with well with Lovejoy and Tinker but the dynamics were different between the two. He was a great double act with Tinker and I think they could have easily made a spin-off between the two. With Eric leaving created a crater sized hole in the series. In fact, to be honest, it prejudices me when I watch any post-Eric Lovejoy. To put it in terms of antiques, it’s like finding a wonderful-old piece only to be ultra-cleaned by non-professionals removing all of its charm. 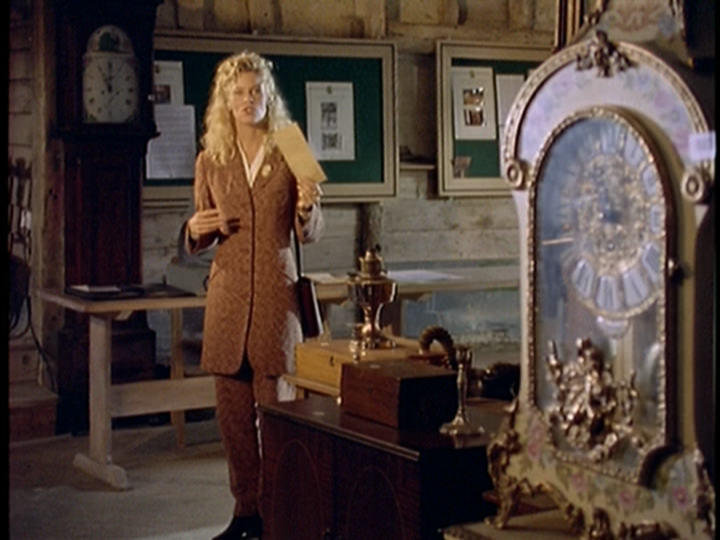 Back to the episode at hand, Lovejoy meets a woman who is into antiques of the period and is from America, in fact the South. Not only is she from America but she is also a Lovejoy. 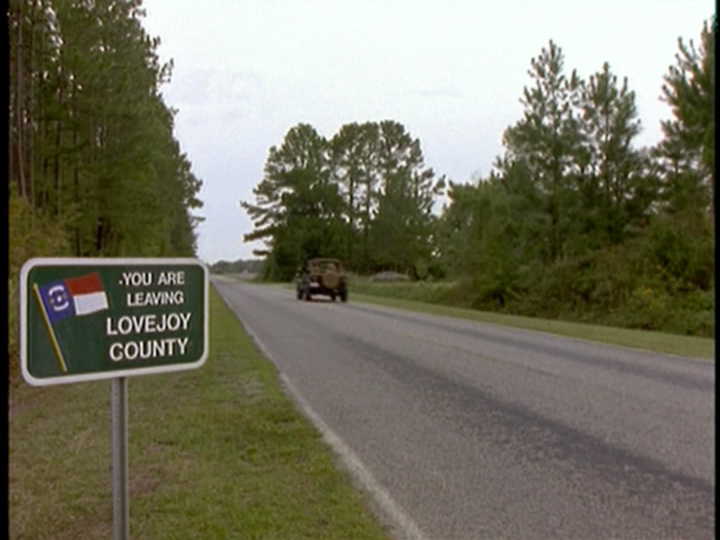 Her name is Mary-John Lovejoy and there are apparently a whole lot of Lovejoy’s living in North Carolina. They are also really well to do. While she is still in town, there is a robbery of some historically important pieces from Wakering’s house. These items have to do with Sir Walter Raleigh and the Lost Colony. The Lost Colony is an area off of North Carolina that Sir Walter Raleigh found that eventually lost. He called it the lost colony which it is Roanoke Island. The one aspect of Lovejoy I have always loved was how we are exposed different pieces of antiques and the unique stories behind each piece. Not that many of these were real pieces or had real stories, the history of these mythical pieces were always fun and made the character of Lovejoy and Tinker very believable because they were such experts. These stories really sold the episodes. Yet there is some truth to this story. Although this is not a physical piece, The Lost Colony was a real thing. 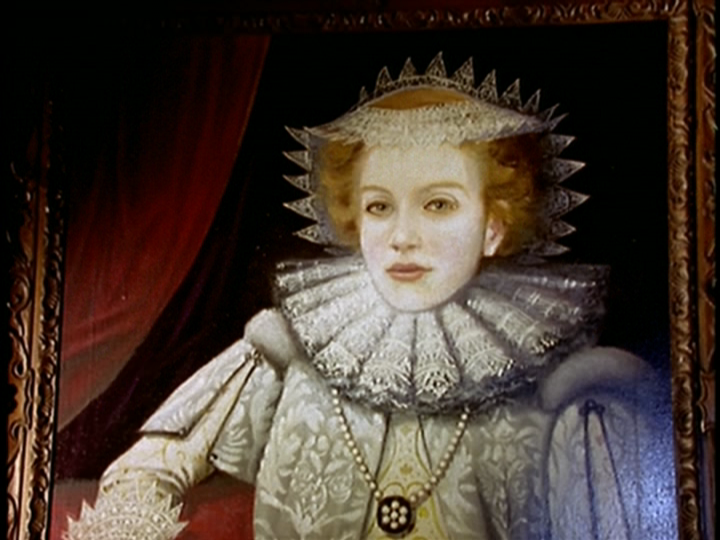 The Queen granted Sir Water Raleigh a charter to colonize North America in 1583. Raleigh lands on what becomes Roanoke Island. The final group of colonists disappeared during the Anglo-Spanish War, three years after the last shipment of supplies from England. Their disappearance gave rise to the nickname "The Lost Colony". To this day there has been no conclusive evidence as to what happened to the colonists. Theories range from Native-Americans attacking and killing them to the colonists just moving somewhere else. 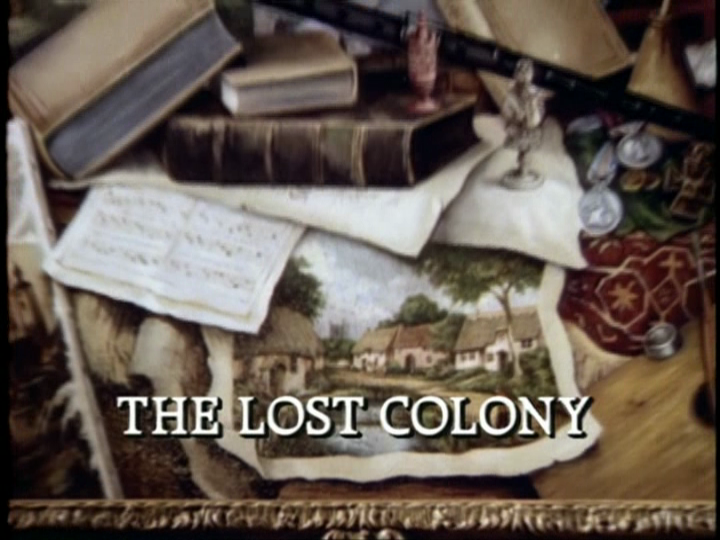 In this episode, I got the impression that they are referring to the “lost colony” as a physical place. Like maybe they were looking for an island. With the items stolen, Lovejoy feels a personal responsibility to get them back. He immediately knows who took them based on being at the house ate the time of the robbery. He recognized the unique perfume of Mary-John. 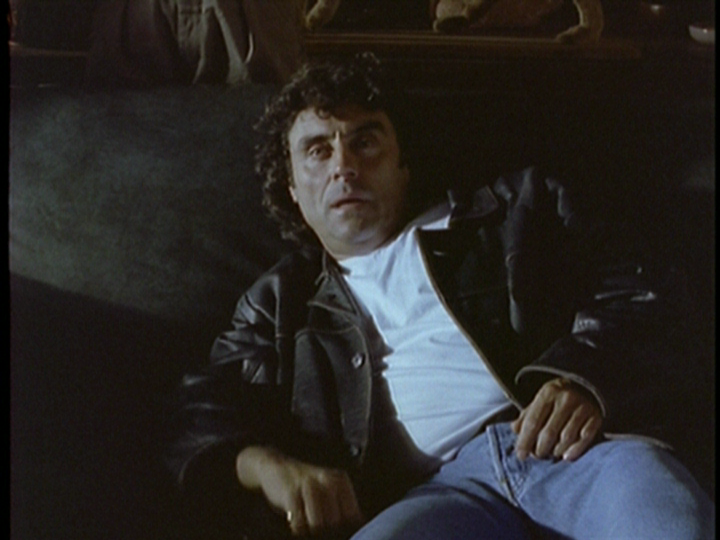 Lovejoy hops onto a plane a travels to North America to track down Mary-John. Let’s set the record straight. I hate it when British television series have episodes set in America. I hate it. Cue the stereotypical Americans and our lack of understanding anything that is not US. Don’t think for a moment I don’t think that as a culture the US can be very dim but I hate watching it because it generalize. Plus because it takes place in the South, we must have banjo music and the magazine the cop is reading is Guns & Ammo. I also hate US series that go over to the UK. Cue the stereotypical Britons. The only exception is The Beverly Hillbillies episode where the Clampetts go to the UK and Phil Silvers cons them into thinking that they are buying some amazing British treasures such as Buckingham Palace. 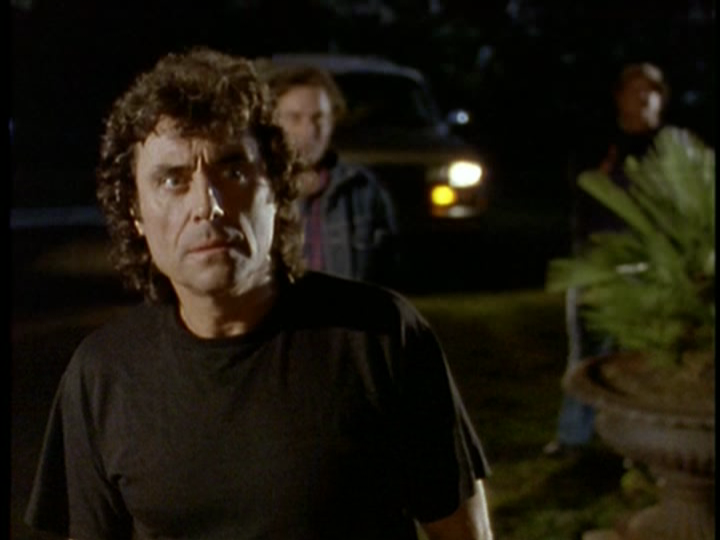 In this episode we have the dim-witted southern cops, the Southerns with a ridiculous drawl and people commenting to Lovejoy that he sounds funny. Hilarity ensues. It turns out that in North Carolina, there have been a long run of Lovejoys and they have built up a business. By the time it is all said and done, Lovejoy gets the historical pieces back. I give the impression that I didn’t like the episode. I didn’t mind it. It’s not that bad but if I started to watch Lovejoy with this episode, or any around this period of time, I wouldn’t have bothered with any more episodes. This episode is an example of how the series loses its energy and is just average. Lovejoy is not an average series. 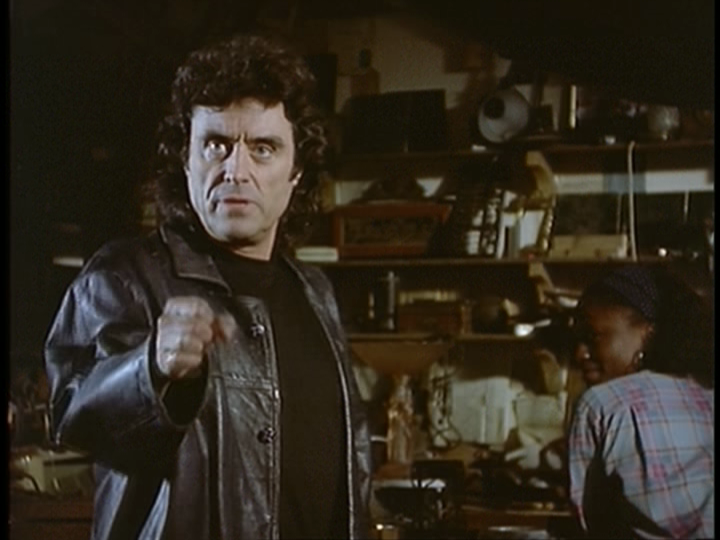 When the series starts out, Lovejoy himself is a bit of a rogue. He cleans himself up a bit but always has some of the criminal charm. Lovejoy falls into the Mickey Mouse syndrome a little bit. Mickey Mouse starts out as a not so great character. He pulls on other animal tails, he nearly takes advantage of Minnie Mouse in a couple of those early shorts. Yet, as time goes on, he mellows and the characters that are around him take the center stage for being more colorful. As Mickey becomes more established, he is written to be more wholesome. Can the same scenario be applied to Lovejoy? Maybe not the same extreme but as the series went on, he became more of an antique dealer expert instead of the rogue who needed to do the dodgy deals for the greater good. That was alright though because of such great characters as Eric and Tinker. Tinker needed Eric otherwise he becomes more of the odd man out. The characters in this installment don’t do much for me at all. There is Beth who takes on the role of Eric. She is learning the business but is not given much to do, at least in this episode. She is kind of a wasted character. There is Charlotte Cavendish who for all intents and purposes is the new Lady Jane. She is fine but it is hard to let go of the old favourites. Then, I breathed a sigh of relief. In walks in Charlie Gimbert. Played beautifully by the late Malcolm Tierney, he is the Sheriff of Nottingham to Lovejoy’s Robin Hood. He is wonderfully villain in this series. He does nasty stuff to annoy and alienate Lovejoy but he is immensely loveable. I forgot he was still in the series by this point but even as brief as his appearance was, it still harked back memories to the good ol’ days! What I am not a fan with this episode is that we see that there are more Lovejoys. There is a whole clan of them back in the states. 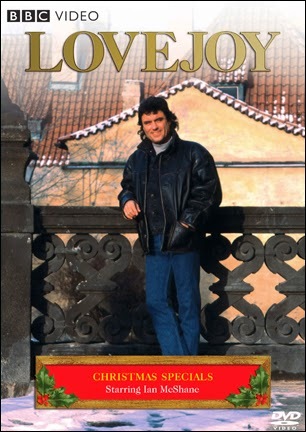 I liked it when we didn’t know so much about Lovejoy. He is not necessarily a mysterious character, it’s just that there is some mystery to him. I don’t think the series should be about him in terms of his family. This is not a major aspect of it but one that is still unnecessary, perhaps getting too familiar. I am a fan of the paranormal aspect to this story. In Wakering’s house, there is a ghost that goes back a long way. She makes things very difficult for a lot of people, especially the new residents of the house. So much so that they move out and sell the house back to Wakering. The way it is done in the episode is a little far-fetched but then again, it’s not meant to scare the viewer. Some interesting people took part in this episode that should be noted. 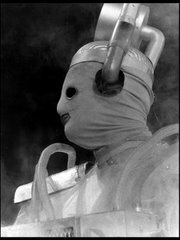 First of all, Sir John Gielgud played Lord Wakering, Arthur Cox who also I also enjoyed as Cully in the Doctor Who story The Dominators. On the American side, there is Barbara Barrie who I found interesting. I have seen her in other things such as playing Barney’s wife Elizabeth on Barney Miller. She also played Elizabeth Potter in the Reggie which is the US version of The Fall and Rise of Reginald Perrin. That was made in 1983. I have always wanted to write an article about US comedies that originated from the UK. Once I get a copy of Beane’s of Boston, I’ll be able to do that. Behind the scenes, the film was directed by Geoffrey Sax. He did a lot of things. I remember his episodes of The New Statesman and he was also the director to the 1996 TV Movie of Doctor Who starring Paul McGann. There are some really great shots in The Lost Colony such as near the beginning as we see Miss Lillian walking across the street into a cemetery and what appears to be a normal shot elevates as it becomes a really tall and ambitious crane shot. Some of that stuff is the highlight of the film. It is interesting to note that Jo Wright is Producer of Lovejoy by this point. She served as Executive Producer for the BBC on the 1996 Doctor Who TV Movie and is currently an Executive Producer on Midsomer Murders. Clearly, she likes the same TV series I do. If you want to start somewhere to watch Lovejoy, don’t start here. Start at the beginning and watch a very funny and unique show. This episode isn’t quite it. 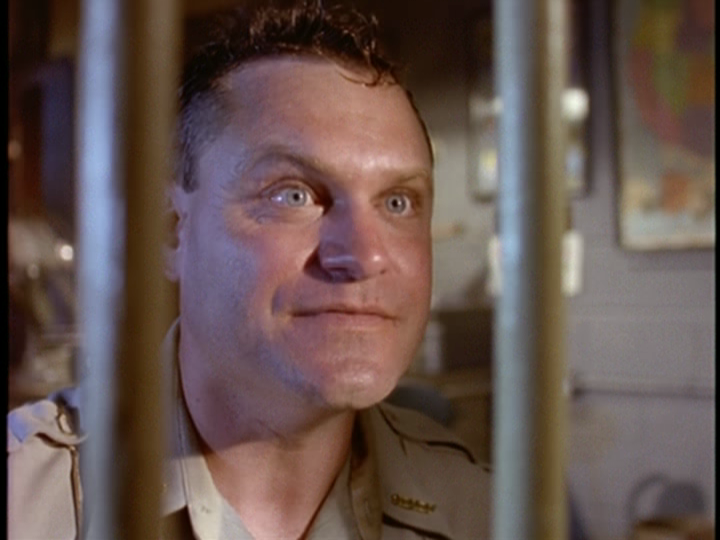 Next week: What do M, Sergeant Wilson, and Magenta from The Rocky Horror Picture Show have in common? Find out when we look at the 1977 BBC production of A Christmas Carol. Not so much of the article will be about the plot but we will look at the practice of releasing good BBC productions other places than the UK!